MongoDB is best no-sql document database, used in small to large application. 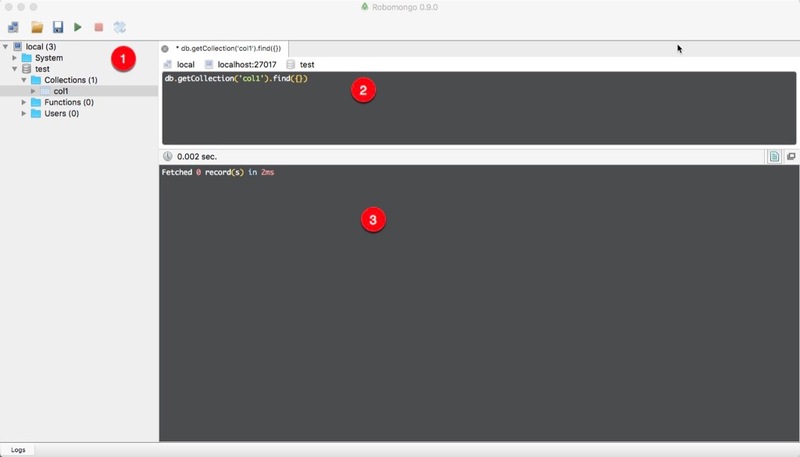 As a developer or administrator we need GUI based manager for MongoDB, for this purpose i found Robomongo best free, native, cross platform and open source tool to manage MongoDB as it provide simple GUI to connect your repositories browse and see you schemas and documents. Best part is it’s native shell, where one can write scripts with intelligence validate and execute them. It shell and result is multi window and fully asynchronus. Currently it comes for 3 major desktop OS( MAC, Window and Linux ). You can download Robomongo directly from web site. For Windows it is available in two form(Zip and Installer), you can choose what you prefer. Either use zipped or install by downloading installer. For Mac it come in DMG package and can be installed very easily. For Linux just extract compressed package and run it. 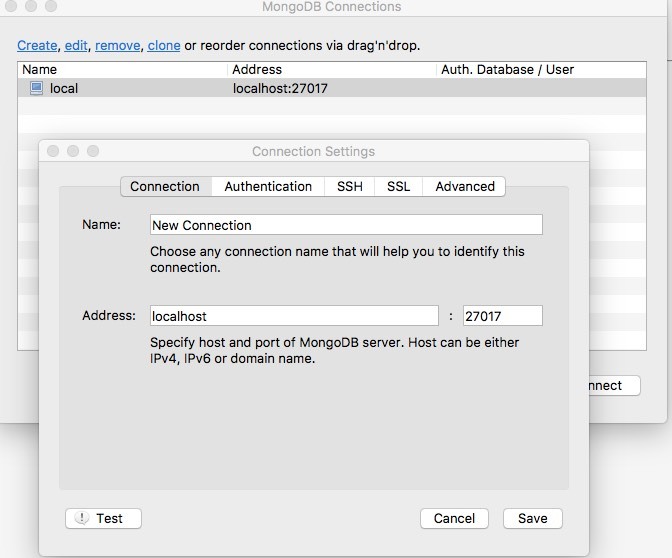 How to connect Robomongo with MongoDb? It provides simple connection dialog to commect with server using IP/Port and optionally by providing Authentication information and other security credentials like SSH tunnel or ssl. After connetion you can browse all collections and schemas, even you can create and modify existing one. In above picture you can clearly see how it look, left nevigation has explorer tree from where you can do navigation and by right click perform operation like create, modify and view schems and db.